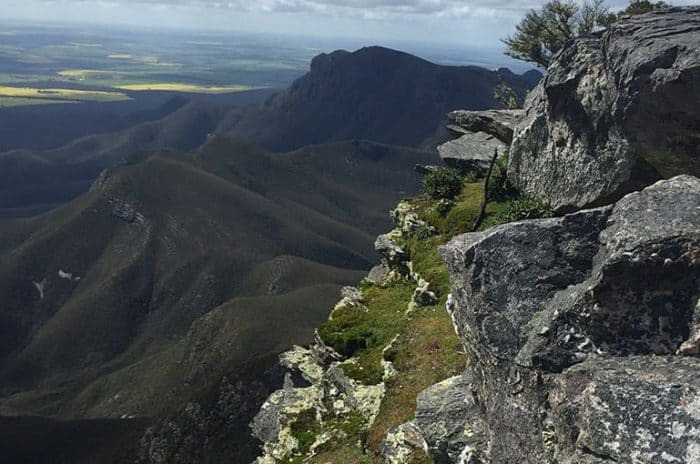 The trail features birdlife, reptiles, exceptional scenery and views of the Stirling Ranges and geological formations. 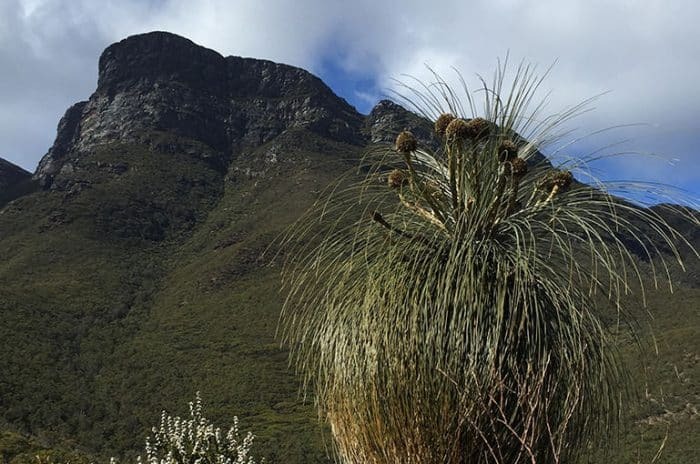 And, thanks to its unique climate, over 1000 species of wildflowers and flowering plants thrive within the park including Mountain Bells and the Queen of Sheba Orchid. Occasional snowfall in winter is a seasonal highlight. 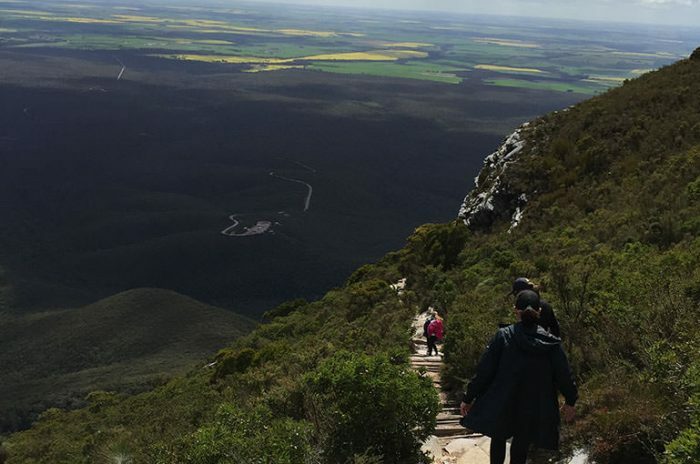 When storms roll through, snow hunters come from far and wide, braving the freezing conditions and long hike to the top to witness the white powder. Information shelters detail the plant and animal life in the area and guide you to sites of interest.